The TSDP11xx / TSDP10xx family are low-power 2Vrms Class-H architecture, Capless True Ground-Referenced Output Headphone amplifiers / Line Drivers with independent left/right volume control and a GPIO controlled shutdown pin. 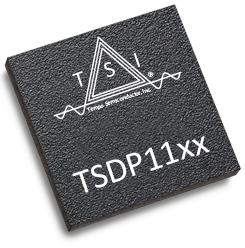 The TSDP11xx also offers a two-wire I2C compatible serial control interface for controlling a wide variety of parameters for those looking to fine tune the amplifier’s performance vs. power efficiency. 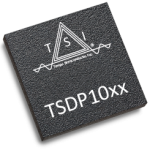 Both devices provide exceptional audio fidelity with SNR / DNR of up to 106dB in addition to the highest continuous output power of up to 170mW (16Ω, <10% THD+N) per channel of *ANY* stereo combination HP amplifier / 2Vrms Line Driver or *ANY* stereo HP amplifier IC in its class. The differential inputs allow for flexible input configuration that maximizes noise rejection for best-in-class CMRR, 21dB better than any other comparable high-power HP amplifier and/or 2Vrms Line Driver device on the market. 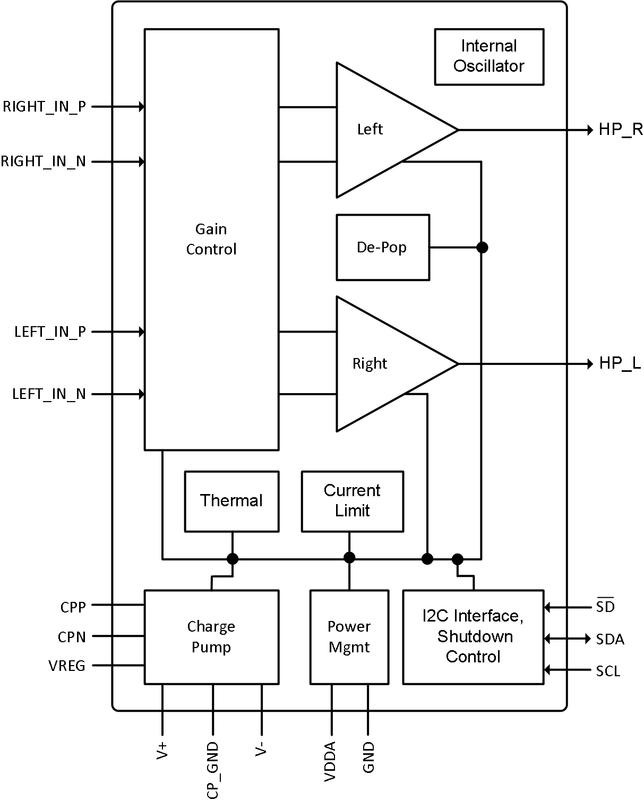 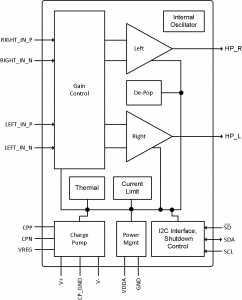 Furthermore, they both enable support for any load ranging from 16Ω up to 10KΩ, enabling a truly high-power 2Vrms HP Amplifier / Line-out Driver combination IC solution all without having to change a single passive component in the output filter stage or make any adjustments to any parameter.